As a Church of England School, we aim to develop children’s spiritual awareness by helping children to learn about and begin to understand religious beliefs and practices, and also to understand the influence of religion on people’s lives. The school follows the agreed syllabus for Oxfordshire which encourages children to study Christianity as the main component of the programmes of study and also to learn about Buddhism, Islam, Judaism and Hinduism. to develop knowledge and understanding of Christianity and other principal religious traditions represented in Great Britain. to develop understanding of what it might mean to be committed to a religious tradition. to reflect on their own experiences, beliefs and values. 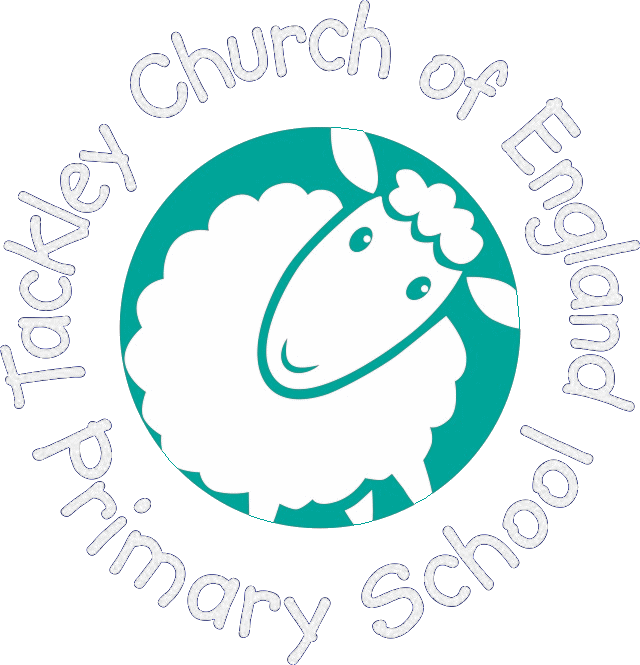 The children make regular visits to Tackley Parish Church for special events in the church calendar, and liturgical teaching. These visits take place six times per year and include the major Christian festivals of Harvest, Christmas, Easter and Pentecost. We celebrate a variety of religious events across the school including Christmas, Easter, Diwali and our annual Jesus Christ day here at Tackley Primary school. Please visit the policies page for the religious education policy. Across the whole school, once a term, each class focuses on a specific ‘story’ from the bible. Creatively the children respond to or represent the story through art, drama, music or creative writing with the aim of bringing the message or key Christian teaching to life. During our Friday sharing assembly – the work is shared with the whole school by each class.